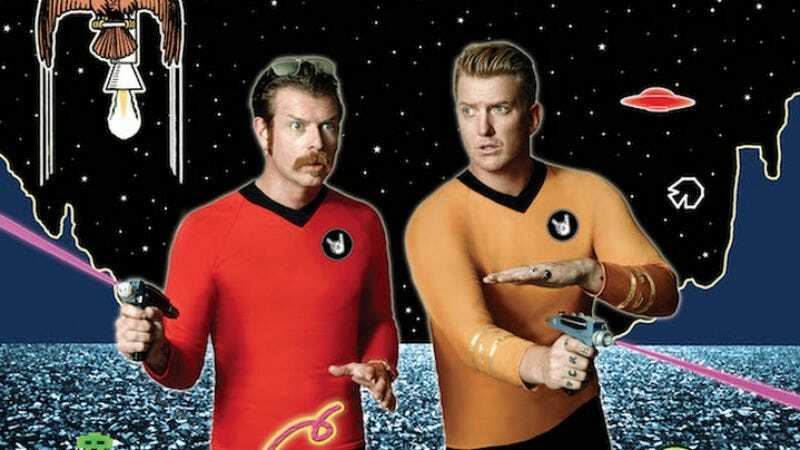 After a seven-year hiatus, Eagles Of Death Metal are back with a new single and a new album. Zipper Down is due later this year, but the single for “Complexity” is out, complete with some weird Star Trek-inspired artwork. Zipper Down will be the first album for the duo since 2008’s Heart On; Homme also made a rare live appearance with the band in Paris last week. (Homme rarely plays live with Eagles Of Death Metal due to his commitments to Queens Of The Stone Age and numerous other musical projects.) Eagles Of Death Metal are slated to play at this year’s Riot Fest in Toronto, Chicago, and Denver.